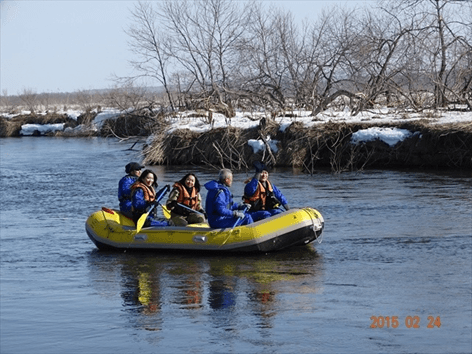 Many companies operate tours on which you can enjoy the Kushiro Marsh, but here I will feature the 60 minute Downriver Rafting B Course by Higashi-Hokkaido Outdoor Center. One appealing aspect of this course is that rafting downriver is fun and relaxing even if you have no prior experience being on such a vessel. Generally, paddles are used to move the vessel in the desired direction. Paddles with sheets on both the left and right sides are called double bladed paddles, and require you to alternate your paddling movement between left and right; but rafts only use single bladed paddles, which has the advantage that you can paddle relatively easily even if you are not so confident about your paddling abilities. Also, whereas many tours are based out of Hosooka Station on the Senmo Main Line, this tour starts in the vicinity of Toro Station, allowing you to enjoy a river that is narrow and deep rather than wide and shallow. Besides locations where you can see many cranes, you may with a little luck also encounter Yezo sika deer and Siberian chipmunks. Another nice thing about a tour like this is that you’re accompanied by a guide who is familiar with every nook and corner of the marsh, and who with his well-trained eyes will let you know immediately when he has spotted something interesting. He is always eager to show his participants as much wildlife as he can. And that thought shines through in his interactions with his participants. In addition to the above-mentioned course, the same company also offers a variety of other tours including a downriver canoeing tour and a wildlife photo tour, in which you can observe and photograph the animals and plants inhabiting the marsh. How about making an inquiry, and consulting them about the tour that would suit you best? *Only the B course is available for children (min age: 6). Kushiro Marsh & River here. 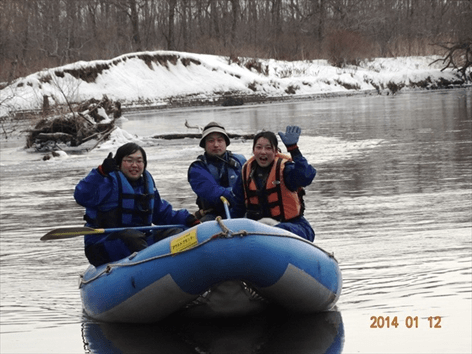 Their Kushiro Marsh Mankitsu One-day Plan Canoe Course makes effective use of canoes to explore the silvery white Kushiro Marsh. Later on the day you will able to switch over to snow shoes, so this wonderful plan allows you to experience the merits of both modes of transportation in a single tour. 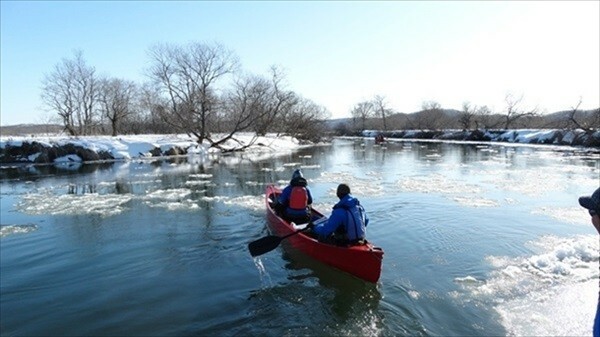 From Kushiro River’s Kottaro Canoe Port through Aleknai River to Lake Toro, the canoeing distance is about 6 Km. 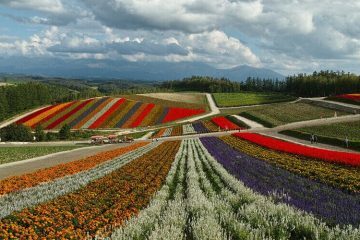 The guides pour into the tour all their experience and knowledge acquired from being part of the Kushiro Marsh on a day-to-day basis. 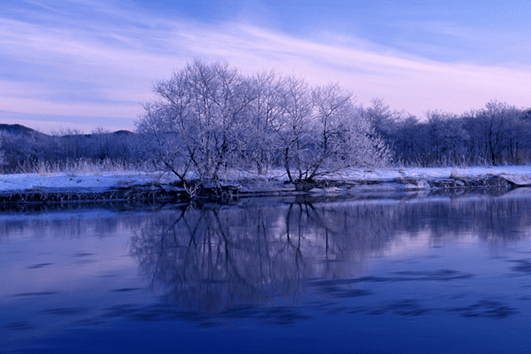 Accounting for 60% of all of Japan’s wetland area, the Kushiro Marsh is Japan’s largest marsh. 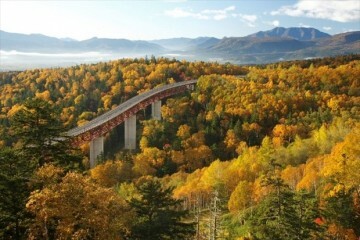 It was Japan’s first site to be registered on the Ramsar Convention’s list, and is also designated as a national park. 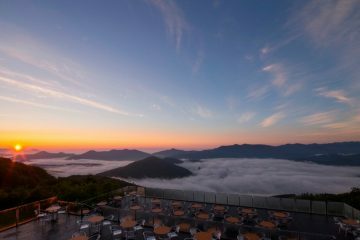 It is also a place where you can enjoy the beauty of nature throughout the four seasons from vantage points scattered about in various locations — but that is a human perspective. For the animals that make the marsh their home, it is a matter of surviving in a harsh environment. It is also a fact that because the marsh is a unique habitat, it is home to some rare animals too. For humans to tread there, I believe it is for the best that they are accompanied by a guide who knows those environs through and through. The very experienced guides can explain every detail there is to know about the marsh, so your tour should be full of surprising encounters. For example, after putting on your snowshoes they will introduce you to an overwhelming view of the marsh from atop of a hill for you to climb, teach you where to look for Ural owl nest holes, and guide you to the cranes feeding grounds. 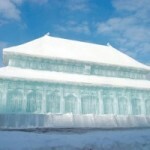 With this tour many things you normally cannot experience can be explored throughout a single day. There are people who would rather stay inside during the cold winter, but I have also heard of people who, through their encounter with life in the pale white marsh, experienced a change in their own outlook on life, and who now repeat their visit to these wetlands every winter. By the way, this company too offers a rich variety of different tours. 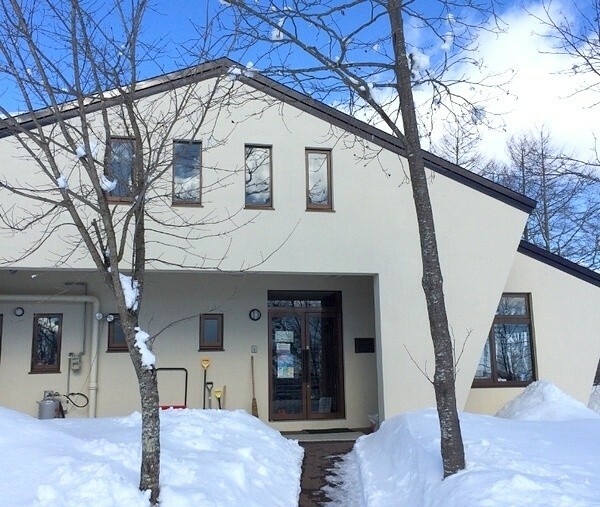 For example, a plan exploring the Kushiro Marsh in half a day, one centered on ice walking and snowshoeing, one based one observing nature from canoes in the Aleknai river, and more. At any rate, these are large wetlands, so they can be enjoyed in various ways. 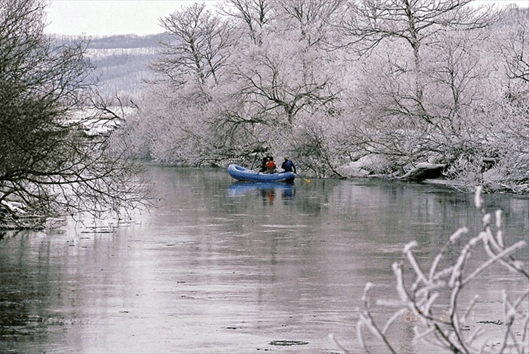 Wearing a dry suit is compulsory, ensuring peace of mind with regard to safety. 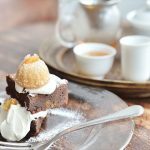 I hope I have convinced you to try these unique winter experiences yourself. 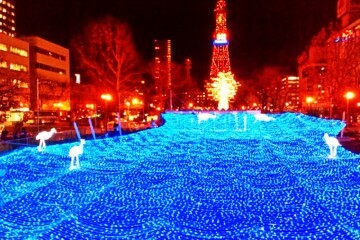 *If only 1 person will be participating, an extra fee of 5000 JPY applies on top of the above-mentioned price. *A separate accident insurance fee of 500 JPY per person applies. *The minimum age eligible for participation is 15 years. For the cranes winter is the season of love. The red-crowned crane Grus japonensis (also called the Japanese crane, or Manchurian crane) belongs to the genus of typical cranes Grus in the family of cranes Gruidae. 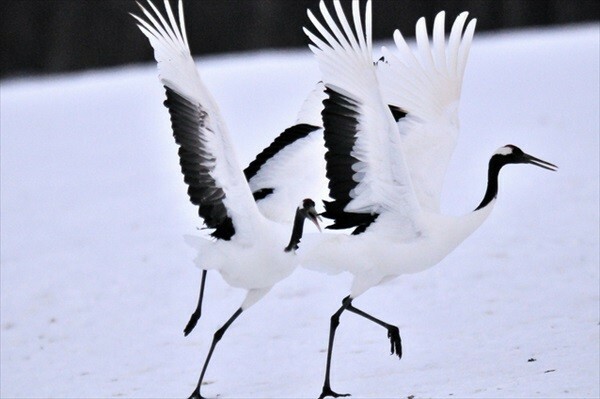 In Japanese, the general word for crane is tsuru, but the red-crowned crane species is called tancho, or tanchotsuru in full. 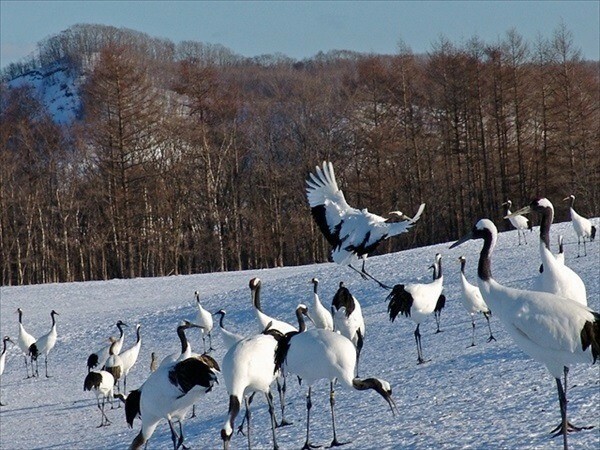 The red-crowned crane is designated in Japan as a special natural treasure, and the Kushiro Marsh is very famous as a place where they flock together when winter comes. 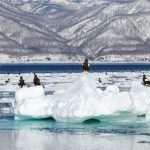 The reason for this gathering is said to lie in the fact that several conditions required for a successful breeding season are present there. Seeing their elegant movements in full flight is wonderful too, but if the timing is right you can observe their “courtship dance”, which is a spectacle of breathtaking beauty. As the name implies, this is a dance in which a male bird expresses his love for a female counterpart, which will be answered by his love interest only if she rates the performance highly enough. As cranes remain monogamous their whole lives, the gravity of the occasion is reflected in the intensity with which they apply their entire bodies to their movements. You may consider yourself very lucky if you were able to observe the entire ritual through to a successful ending where the female widely extends her wings to signal her acceptance. Some people have not been able to observe such an occurrence even after many years of repeated visits, while others were lucky enough to see this ritual on their first tour. If timing and luck are on your side, you too will be able to view this miracle unfold in front of your eyes. Here institutions such as Tsurui Ito Tancho Crane Sanctuary and Akan International Crane Center are the ones who protect the habitat so cranes can roam there in peace. The Crane Sanctuary does everything it can to protect the cranes, for example by patrolling the area. At Akan, which was the first place to successfully employ artificial feeding devices, an international research and education center was opened, from where research specialists now conduct ecological research of the cranes. 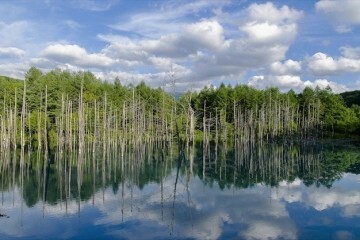 It is because of these efforts that the Kushiro Marsh is as well preserved as it is. The results of these initiatives can be viewed inside the sanctuary building, so if you would like to know more, feel free to take a look inside. 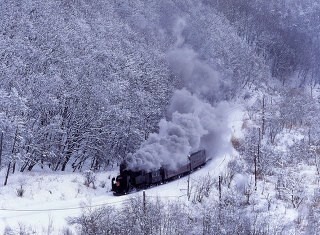 There is one way to enjoy the marsh, which is exclusive to winter and which I certainly should not forget to mention: the steam locomotive Fuyu no Shitsugen-go. The smoke billowing steam engine traverses the all-white marsh’s center and outskirts. The steam train is very popular in recent years, and an increasing number of passengers combine the ride with a crane viewing tour. However, due to its popularity you should consult/book well in advance. The reserved seats can be booked at the green ticket windows of major JR stations throughout Japan. 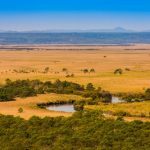 There are nature tour operating companies that include the steam locomotive ride in one or more of their courses, so for those who want to combine these activities such a set plan might be an attractive option. 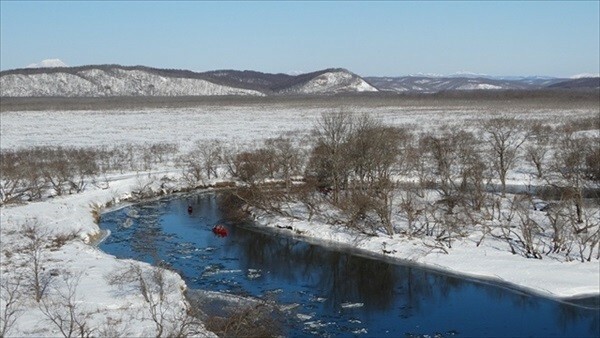 Winter in the Kushiro Marsh is severe. But it is also home to rare species that thrive in there in part because of its severity. 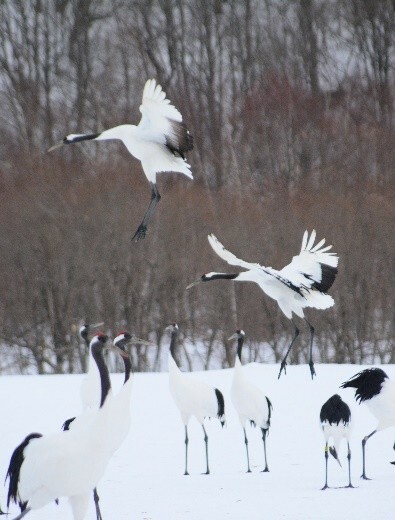 The Ainu people refer to the red-crowned cranes as sarurun kamui: “gods of the marsh”. As for why they are called that way… that is something which will become apparent as soon as you meet one of these cranes in person.